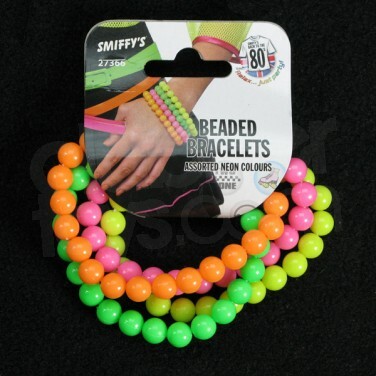 Perfect for clubbers, stand out in the party crowd with this pack of four neon beaded bracelets! 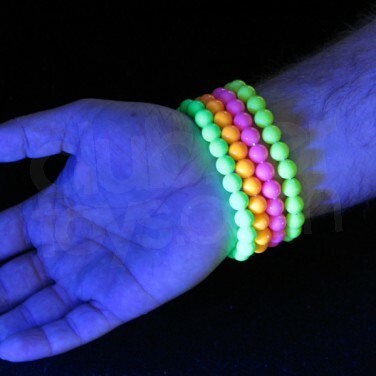 UV reactive neon bracelets come in funky neon colours that will light up and flouresce under UV blacklight in pubs and clubs. Just the thing for accessorising outfits and breaking up block colours on nights out. 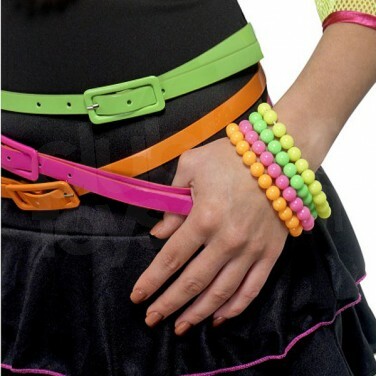 Make a real style statement and accessorise your outfits with skinny neon belts and matching UV neon pearls too. Please note the neon bracelets will not glow in the dark, they flouresce under UV blacklight.